Driftwood Retreat is the perfect place for a romantic break or family holiday, located on the idyllic Tutukaka Coastline. Relax and enjoy the private and peaceful surroundings of the garden, spend the day at one of the many nearby beaches or secluded bays lined with Pohutakawa trees and golden sands to relax on, or take advantage of a number of activities available in the area including beautiful coastal walks, fishing, diving, swimming, boat trips, surfing lessons, golf, horse riding and much much more. You are just minutes from beaches, shops, cafes, restaurants, bar, local boat ramps and the Tutukaka Marina. There really is something for everyone. The Tutukaka Marina is a gateway to The Poor Knights Islands which are classed as one of the top ten dive locations in the world and is one of the oldest Marine Reserves in New Zealand. Only minutes from the Marina, Driftwood Retreat offers clean and tidy accommodation with an open plan layout including 2 living areas, kitchen, dining, separate toilet, shower, 3 bedrooms, 3 deck areas, outdoor shower, fish filleting bench and laundry facilities you will be more than comfortable in this lovely kiwi Bach. The Bach has a large private garden with lots of space for older children to explore and roam in and a fenced area for younger children to play safely. Enjoy a quiet drink while relaxing on the upstairs sun deck or a BBQ on the large covered entertainment deck with your family and friends. 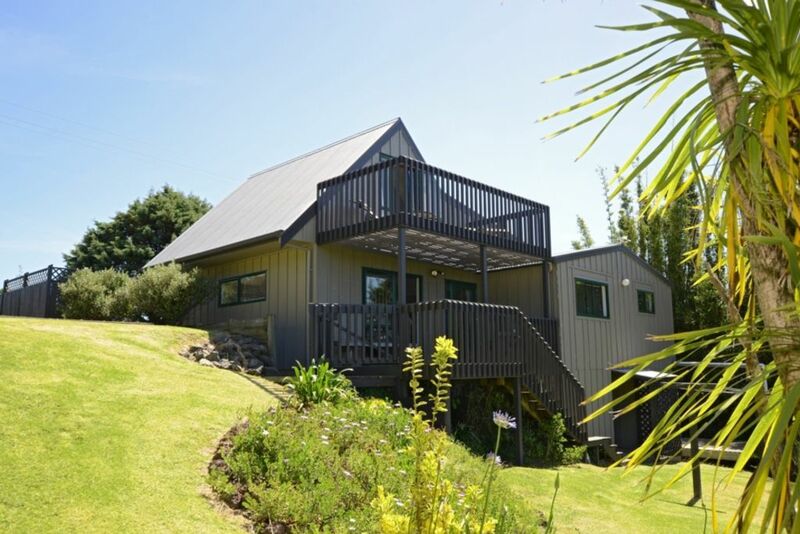 Driftwood Retreat is in a great location only a short walk from Pacific Bay or 3 minute drive to Whangaumu Beach (also known as Wellingtons Bay). Other beautiful nearby beaches and bays include, Kowharewa Bay, Matapouri Bay, Whale Bay and Woolleys Bay. The Tutukaka Coastline is stunning and remote, capturing the essence of coastal New Zealand. With a myriad of water based activities at your doorstep, sandy beaches and a lush subtropical climate, it is an all year round playground. Perfect for those romantic breaks or an action packed adventure. Inside there is a shower, vanity, and separate toilet. There is also an outdoor shower. Linen (sheets, pillow cases and towels) can be provided on request at an additional charge per person for each booking. Please inquire at time of booking to arrange this. Short drive to the marina. A quiet, comfortable bach for a group of couples. loved the location and the house as a whole was great! loved walking to the local beach and then enjoying the sunny decks. some of the guys did mention the beds could be a bit more comfortable :) but if you're not too fussed on that luxury then this is a great house to explore the area from and easily accommodated 7 of us. thanks - we loved our trip! House great - exactly what was shown in pictures. House great - exactly what was shown in pictures. Great stay. The property was well set up for our family holiday and we enjoyed our stay. We had a lovely weekend stay at Driftwood Retreat.